It is not easy running a construction business. There are many pitfalls and numerous ways to lose money. But, if you follow some basic steps you can not only make a living, you can become very wealthy. Successful construction contractors have learned there are certain things you absolutely must do right all the time and certain skills you must have or acquire in order to make it in this very competitive industry. In this article I will summarize the top 10 Rich Habits in running a construction contractors, in their order of importance. Do not even think about starting a construction contractor business unless you have at least five years of broad (meaning, not specialized) construction experience. The only exception to this is if you intend on specializing in one area and one area only. We call this a niche. Niche’s can be very profitable, but they can also go away, change or be replaced by technology, new products, changes in the industry or societal changes. The best chance for success in the general contractor business is to gain experience doing everything. This general experience has many benefits. It gives you the ability to identify and hire competent individuals, fire incompetent ones, evaluate good work product and identify poor work product. Probably the most important thing it gives you is the ability to transition from being a technician to being a manager. The best experience comes from small to mid-sized construction companies that require you to be a jack of all trades. Larger companies have a tendency to pigeonhole you into niches. That is fine if your business model is a niche, but if you start a general contractor construction business with skills in only a few niche areas, you will fail unless you hire to your weaknesses. If you do not have a sound accounting system your construction business will eventually fail. This CPA has witnessed this too many times than I care to recount. Sound accounting systems allow you to evaluate whether or not you make a profit on a job by job basis. Going with gut instinct is dangerous and fraught with risk. A sound accounting system helps you identify those things you do right on each job as well as the mistakes you’ve made. Numbers don’t lie. Unfortunately, my experience has shown me that most construction contractors pay little attention to their system of accounting. There is a fear that proper accounting will set the business owner up for higher taxes. Thus, cash received on a job and cash disbursed go unreported in an effort to avoid tax. I don’t care how great you think your intuition is, if you don’t have an accounting of every penny on each job, you can rest assured you are flying blind and losing money on each job. You will go out of business and your family life will suffer. If you decide to start your own business, you need to act like a professional business owner and that means creating a sound accounting system. Failed accounting systems lead to litigation, failure and bankruptcy. When you have hands on experience in the industry, forged by many years (at least five years) of working in every facet of the construction business, you are better able to make the transition from technician to manager. Effective management requires that you have sound procedures on many aspects of your business. Well-defined, proven processes, along with task-specific checklists, allows you to drill your workers on every aspect of a task within a job. Last Tab – Customer sign off letter on completed work along with standard testimonial letter signed by customer, listing customer’s name and contact information along with permission to use the testimonial in marketing and as a reference for prospective customers. Transfer copies of each testimonial letter to a separate “Testimonial Binder” that you will take with you to each prospect. This Testimonial Binder may be the only thing separating you from your competition. It gives assurance to prospects that you take customer satisfaction very seriously and may be the difference maker. It allows prospects an opportunity to reach out to previous customers in order to obtain references. It also shows the prospect your company is very organized and well run. Lastly, have a picture of the before and after on each job in this binder. You can be the most skilled, best managed construction company, with a stable of talented subcontractors and still go out of business if you do not have a strong process in place on bidding for each job. You can lose your shirt if you underbid a job. The most common cause of underbidding is not doing your homework and relying on your gut or unverified estimates rather than a fail safe process of checking and double checking each cost within each task. The devil in any construction job is in the details. The bidding process is very much like your business plan for each job. It must identify every task, every cost and each cost must be checked and double checked before bidding on the job. Where many construction contractors go wrong is in estimating the cost of tasks incorrectly. These incorrect estimates are caused by flawed assumptions on the tasks and the associated costs, which is the result of not accurately verifying and then re-verifying every task and every cost. It is a painstaking process, but you must get the bid right. Your assumptions on each task must be vetted not once but at least twice. You know the rule: measure twice cut once. This adage is particularly true in the bidding process. 2. You should join a local networking group. 3. You should join a local civic or business organization. 4. You should provide valuable assistance to local community non-profit groups (one or two non-profits is enough). 5. You should have a regular process of bidding jobs that are not referral-based. 6. You should have a process for direct mailings and/or social media marketing. 8. You should advertise online. 10. You should have brochures you can hand out at events or give to prospects. You must upgrade your equipment and tools to stay current with technological changes. This will not only improve efficiency but also the quality of each job. You must also replace old equipment and tools in order to get each job completed efficiently and on time. You will know when it is time for new equipment and tools when the old equipment and tools begin breaking down at a rate that causes recurring delays. When equipment/tools breakdown it can cause cost overruns and result in late completions. No matter how good the quality of your work is, missing completion dates damages your reputation. No matter how much experience you have, and how skilled you may be, there are certain things each one of us does well and certain things we do badly. More often than not, the things we do well are the things we enjoy doing and the things we do badly are the things we hate doing. A skilled business owner will hire people who have strengths in areas the business owner has weaknesses. As an example, one of my clients nearly went out of business because he did not like having to make calls to collect receivables. My advise to him? Hire someone who is expert in collections. He took me up on my advise and eventually, his collections expert, became his partner. His business is thriving now. Hire to your weakness and watch your business boom. Most contracts include language regarding change orders. Change orders are caused by many factors, which is beyond the scope of this article. But let me be clear in saying that you must cost out every change order as if you were costing out the job in the initial bidding process. You must then process the change order (list each task and assign a date of completion for each task) and attach a task checklist for each new task resulting from the change order. Lastly, you must get the customer to understand and sign off on the change order or you will not collect your full price for the job. Many construction contractors do a poor job in addressing change orders. They are reluctant to highlight it with the customer and, consequently, gloss over it in an effort to avoid confrontation. The likelihood of change orders occurring are not adequately addressed up front when you are bidding on the job – this means you are not managing the expectations of the customer during the bidding process. Customers only see the price you gave them in the initial bid and that is what they focus on. You must address the likelihood of a change order occurring at the outset of the bidding process and before the contract is signed. If a customer understands from the very beginning that change orders do occur often and that a change order will increase the price of the job, you will be less shy about confronting the customer when a change order becomes necessary. Remember, success is a process. And so too is failure. Many of my fans and subscribers have been asking me over the past year to start an Instagram account so they can follow me on Instagram. Please follow me on Instagram so I can follow you! In my book, “Change Your Habits, Change Your Life,” I introduced my readers to one of the tools successful entrepreneurs in my Rich Habits Study used that helped them become self-made millionaires. This tool is something called Dream-Setting. Define your ideal, future life, via a script of 1,000 words or more. In this script, you go out into the future five or more years and paint a picture with words of every facet of your ideal, future life. The home you own, the neighborhood you live in, the income you earn, the money you accumulate, the car you drive, the amazing people who are your closest friends, the places in the world you travel to, etc. As you realize each dream, you climb your individual Dream Ladder. When you reach the top of your ladder, only then are you living the life of your dreams. Clearly, the hardest part of this Dream-Setting process is pursuing and achieving the goals behind your dream, or the Goal Pursuit & Achievement Process (Step 4). Each of these two Goal Pursuit & Achievement Processes requires effort. Effort = time. Somehow, you must find the time to pursue and achieve the goals behind your dreams. What makes devoting time to your goals so hard is that many who are pursuing their dreams and the goals behind their dreams have jobs which limit how much time they have to engage in this Goal Pursuit and Achievement Process. You must create a daily routine in which you block off time, every day, to dedicate to this Goal Pursuit & Achievement Process. This routine can take as little as one hour a day. What makes this routine effective is transforming it into a daily habit. Day after day, you must go at each one of your goals. Your daily routine is the scheduling system that transforms each of your dreams, and the goals behind your dreams, into reality. This is why I harp so much on habits. Daily habits, built around your goals, make success possible. Your daily routine is nothing more than a series of daily habits you engage in every day that enable you to achieve each one of your goals and ultimately, each one of your dreams. When I began my Rich Habits Study in early 2004, I had just taken over as CEO of my company. I had responsibility for eight employees and close to one thousand clients. This new job required an enormous time commitment, meaning long hours. I also had three young children and a spouse I desperately wanted to spend time with. So, I found the only time available: 4:30 a.m. – 6 a.m. on workdays and 4:30 a.m. – 8 a.m. on weekends. For nearly four years, my daily routine was waking up at 4:30 and devoting time to my Rich Habits Study. Because I only had that limited time, the study took four years. But, after four years, it was done. Since then, I have continued to employ this daily morning routine to help me write five books over a seven year period. Like so many of the self-made millionaires in my Rich Habits Study, a simple daily routine helped transform me from a nobody into a world-wide best-selling author in a relatively short period of time. If you are pursuing a dream and time is your enemy, you must create a routine and then you must habitualize that routine – schedule it every day. This is what successful high-achieving dreamers do. That is what the self-made millionaires in my Rich Habits Study did. They created and followed a consistent schedule, or daily routine. Consistency transforms dreams into reality. Hello. This is Gena Lofton. I would like to introduce you to Tom Corley. 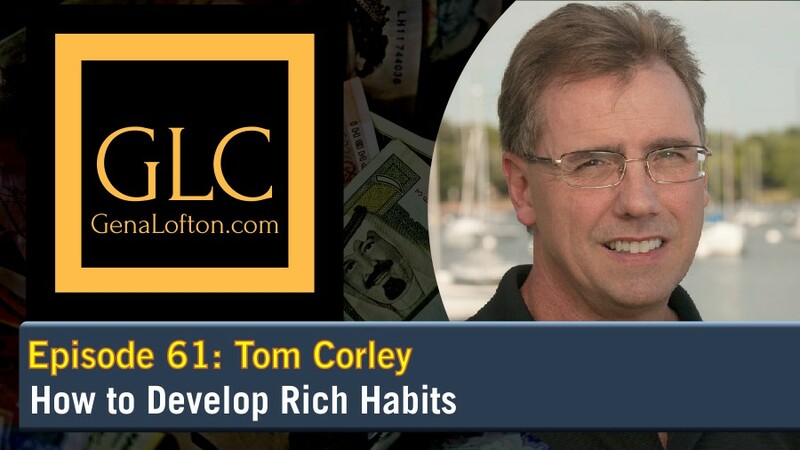 Tom is a motivational and empowering speaker and is the author of several books that discuss the habits of the wealthy and how they differ from others. He discusses his childhood and how his successful businessman father ended up losing his fortune through a business sale that went bad. He became interested in the habits of successful people when a friend with business problems asked him for advice. This sparked off an idea to conduct a study of people’s behavior and habits on what habits are required to derive success. Tom says, “Most poor people would just kick back and look for entertainment in their evenings, while the wealthy, would often practice and improve their skills.” It doesn’t matter what your circumstances are anyone can change their habits. Either by getting rid of bad habits or taking on new good ones. He discusses various ways to change and improve your life and one way is by surrounding yourself with people who already have what you want. One should find the people that have the habits you want and make friends with them so that you can emulate their habits and adopt for yourself. He also wrote a book called Rich Kids to help instruct parents and teachers on methods of assisting young people to develop to become successful in life. In that book, he goes through all of the different things people should be teaching children. One is encouraging children to read and learn and get away from distractions like video games and television. His book contains several stories about how parents can help their children be successful adults. You can find out more at his website where he has a lot of free material and a regular newsletter. He studied the differences in habits between the wealthy and less wealthy. One should learn and understand what are good and bad habits. Anyone should be able to change their habits and integrate new ones. 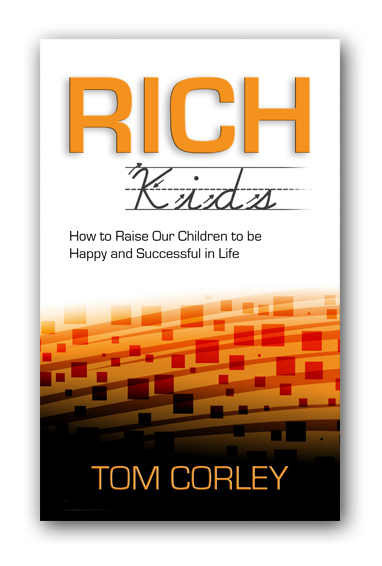 He provides tips for helping educate children to be successful. His inspiring keynote addresses cover success habits of the rich, failure habits of the poor and cutting-edge habit change strategies. Tom has spoken alongside Richard Branson, Mark Victor Hansen, Robin Sharma, Dr. Daniel Amen and many other notable speakers. Tom is a bestselling and award-winning author. His books include Rich Habits, Rich Kids, Change Your Habits Change Your Life and Rich Habits Poor Habits. Tom has appeared on or in CBS Evening News, The Dave Ramsey Show, CNN, MSN Money, USA Today, the Huffington Post, Marketplace Money, Success Magazine, Inc. Magazine, Money Magazine, Kiplinger’s Personal Finance Magazine, Fast Company Magazine, Epoca Magazine (Brazil’s largest weekly) and thousands of other media outlets in the U.S. and 25 other countries. 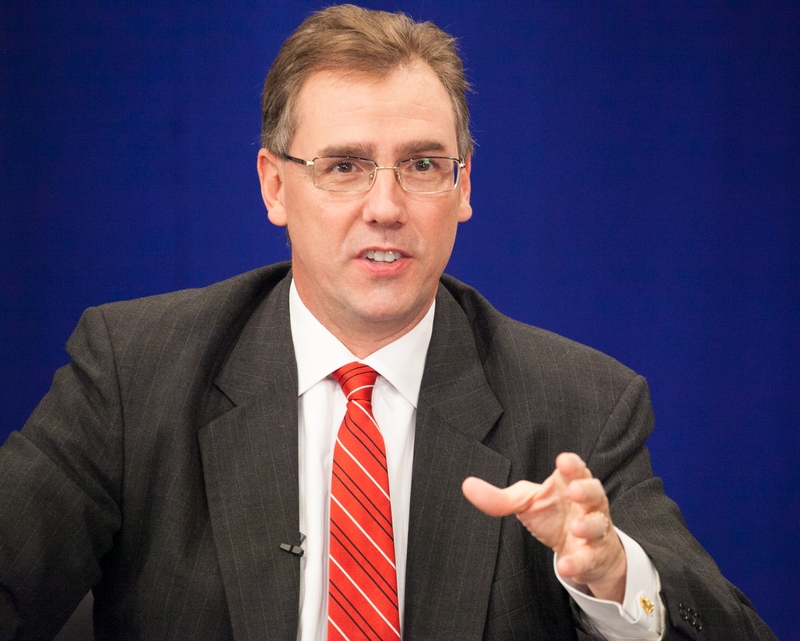 Tom is a frequent contributor to Business Insider, CNBC, and other national media outlets. 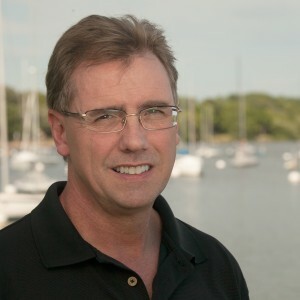 Tom is also a CPA, CFP, holds a Master’s Degree in Taxation and heads a CPA firm in New Jersey.